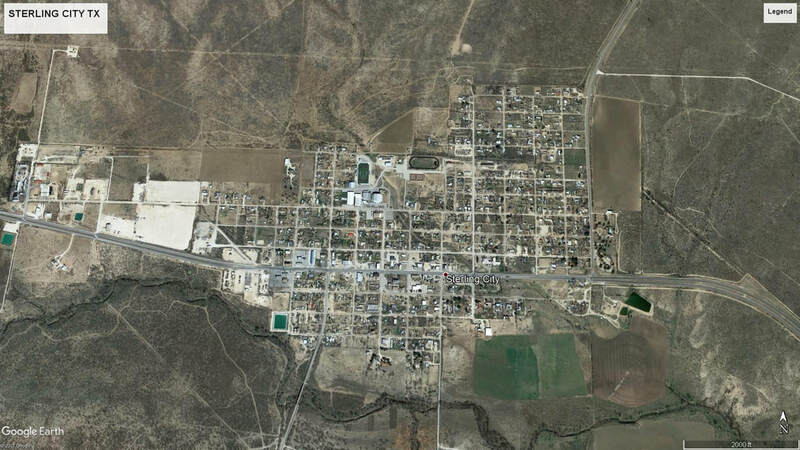 "The area was named for W. S. Sterling, a buffalo hunter, rancher, and Indian fighter who may have been the first permanent settler in the area. 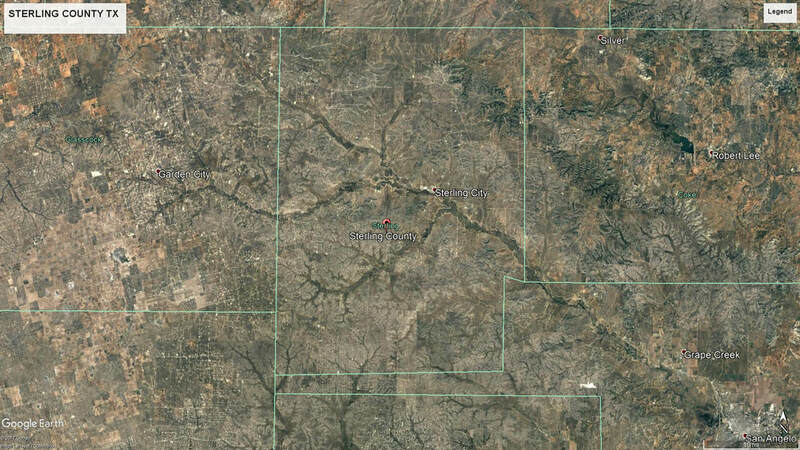 Sterling County covers 914 square miles of the central prairie, is surrounded by hills, and drains to the North Concho River and its tributaries-Sterling, Ross, and Crystal creeks. Soils vary from sandy to black. Elevations in the area range from 2,200 to 2,600 feet above sea level. As elsewhere in the region settlement began after the Civil War when the United States Army pushed the Indians to the west, and the buffalo herds were destroyed. When the county was established and organized in 1891 from Tom Green County, it already included eight or ten small communities, several of which had post offices and schools. 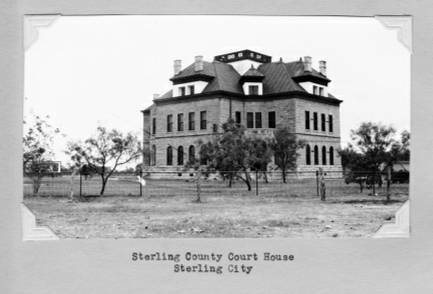 A spirited contest between Sterling City and Commins (Cummins) for the county seat was fueled by the local newspapers, the Sterling Courier and the North Concho News. When the county's voters chose Sterling City as the county seat, Cummins did not survive." 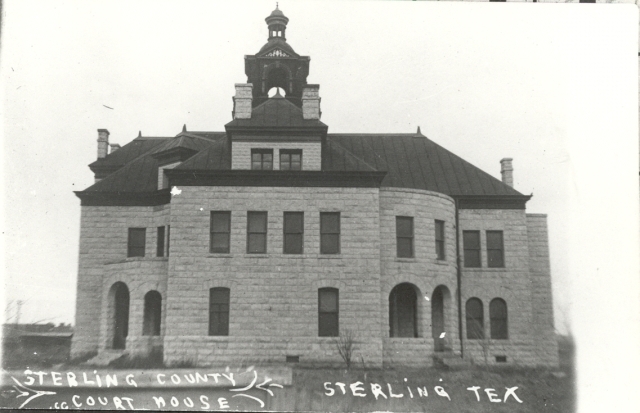 Sterling City is the only incorporated town in the county. It's known as the "windmill city." These days wind farms surround the city. 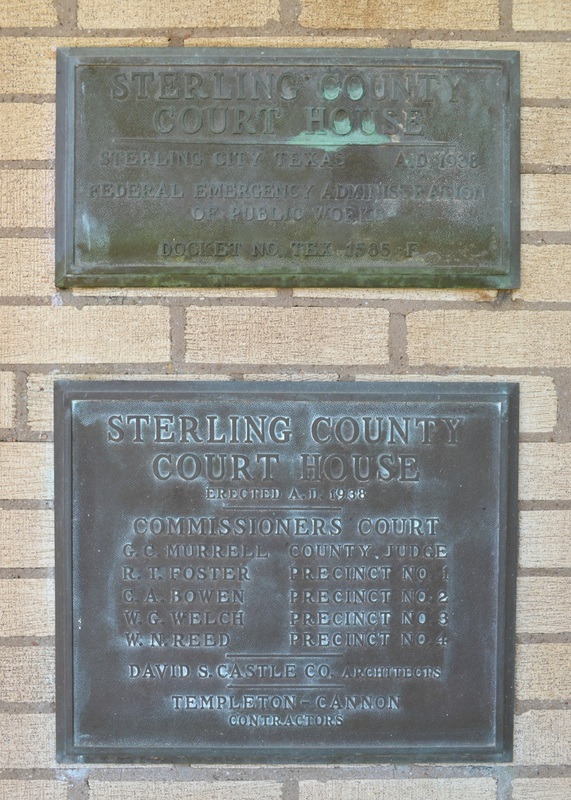 I visited Sterling County and photographed the courthouse in Sterling City on May 11, 2009 and May 21, 2012. 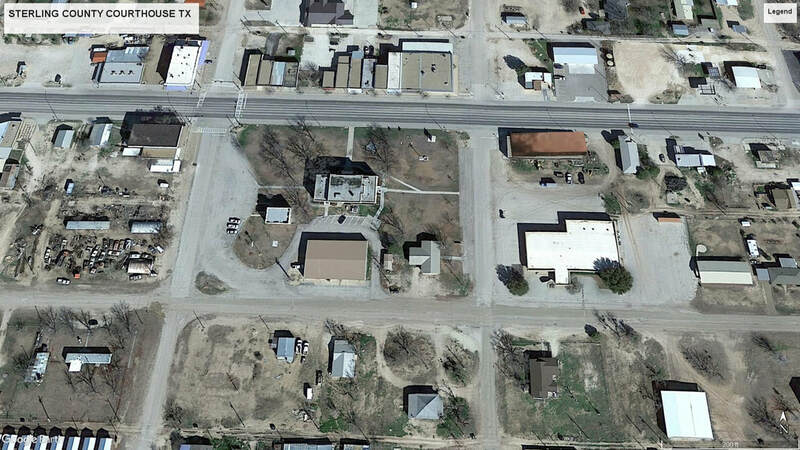 The tower is missing in this view, courtesy of TXDOT. 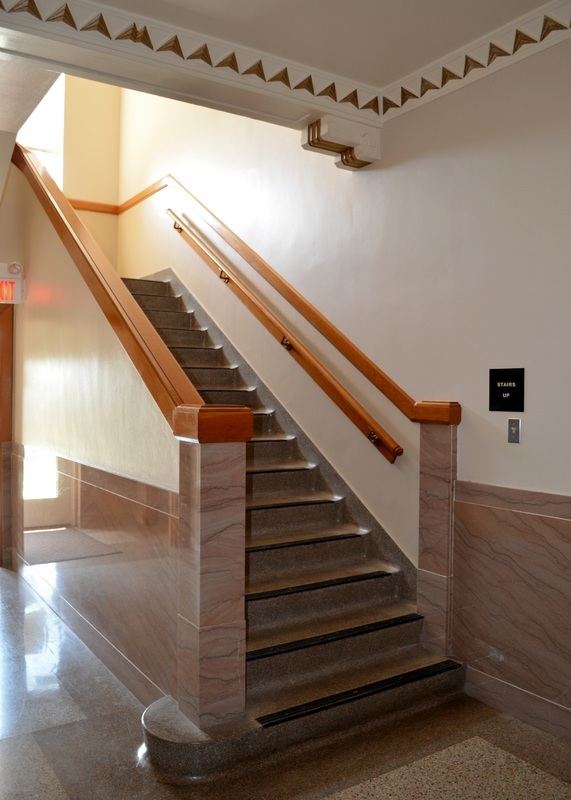 Similar to J. Reily Gordon's signature plan, the architect is unknown. 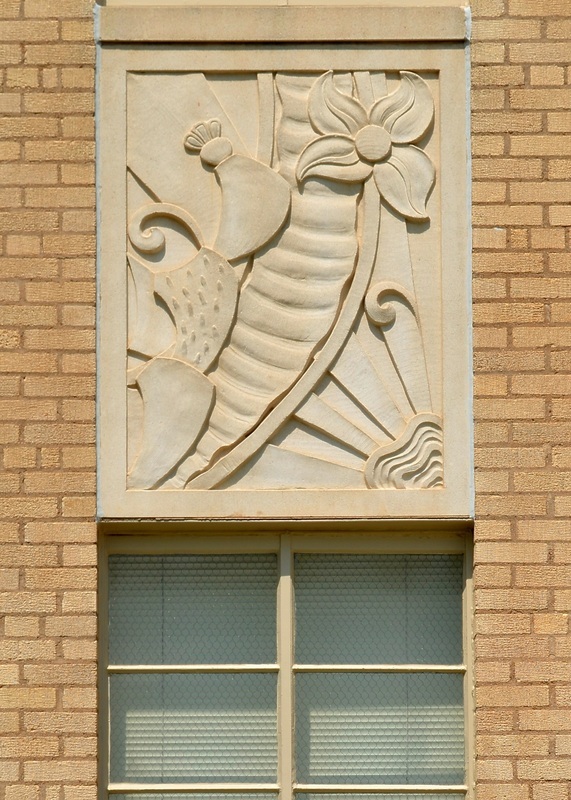 The current courthouse is a Modern design by architect David S. Castle of nearby Abilene. 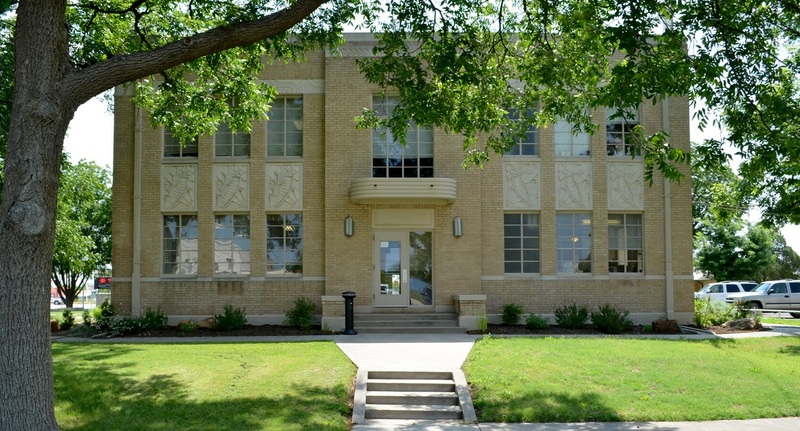 Castle also designed the current ﻿Irion County﻿ courthouse, in Mertzon, south of Sterling County and the Mitchell County courthouse in Colorado City. The building is in very good condition . The view from the front of the courthouse. The back of the building faces south. The Concho San Saba & Llano Valley Railroad station in Sterling City. The Feed Store on the courthouse square, Sterling City. 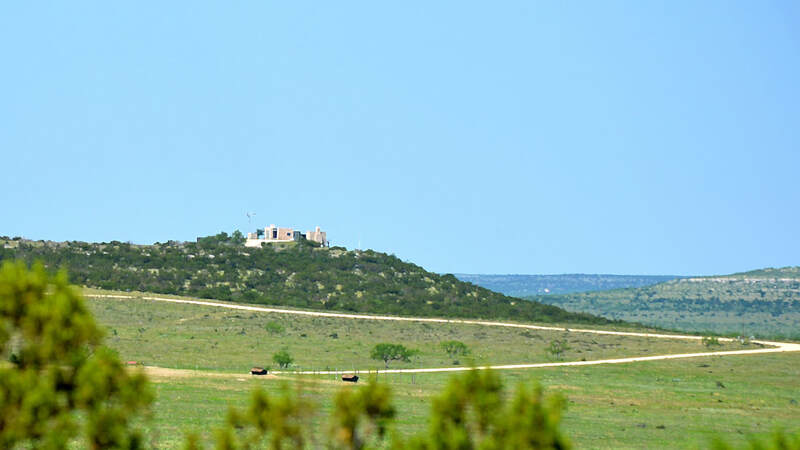 A ranch house northwest of Sterling City, viewed from Texas 163. The pavilion to the right of the house (with a chimney) is "The Birthday," circa 1966, by Frank Welch, noted Texas architect.